[EN] Laidback electronica smelling of Japan. 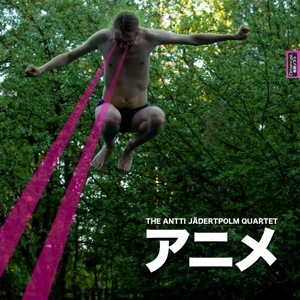 Debut release by The Antti Jädertpolm Quartet, a project by the Finnish ex Barcelona resident and prolific freelance graphics designer Antti 'FthrProductions' Jädertpolm. Track 7 in collaboration with Kschzt. [PT] Electronica com cheirinho a Japão. Estreia do projecto The Antti Jädertpolm Quartet, pelas mãos do Finlândes ex residente em Barcelona e prolifico freelance designer gráfico Antti 'FthrProductions' Jädertpolm. Tema 7 em colaboração com Kschzt.